I’m kind of crazy when it comes to notebooks. I love buying beautifully crafted letterpress journals or hand-bound recycled notebooks but those are used ONLY as journals that can be kept forever and ever. My day-to-day notebook has to be far more functional than beautiful. I like to be able to tear pages out of it without feeling guilty and I just can’t do that with such a beautiful notebook. So… I buy ugly ones. This little guy was $3 at Office Max and is the perfect size for all of my purses. And with my SUPER easy DIY I was able to turn it into some cute and functional. And now I won’t feel guilty about tearing pages out of it. 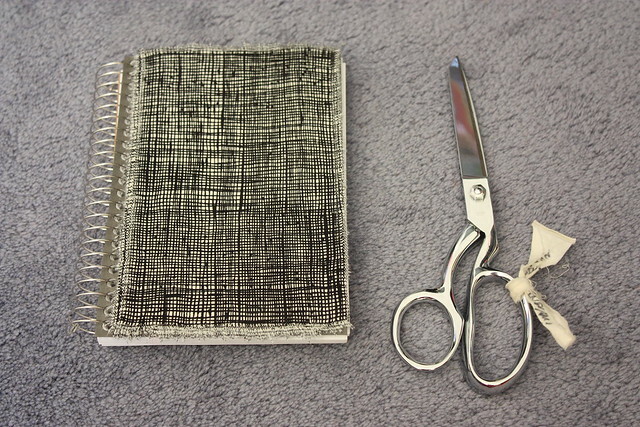 Cut your fabric to the size of your journal cover. You can also tear it to give your edges a cute frayed look like mine! 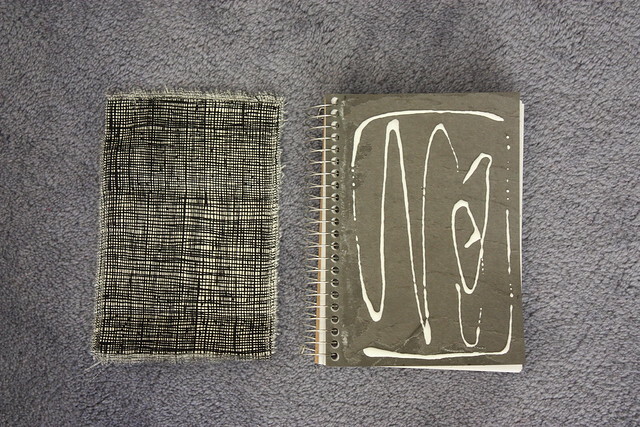 Apply a coat of modpodge to your journal. 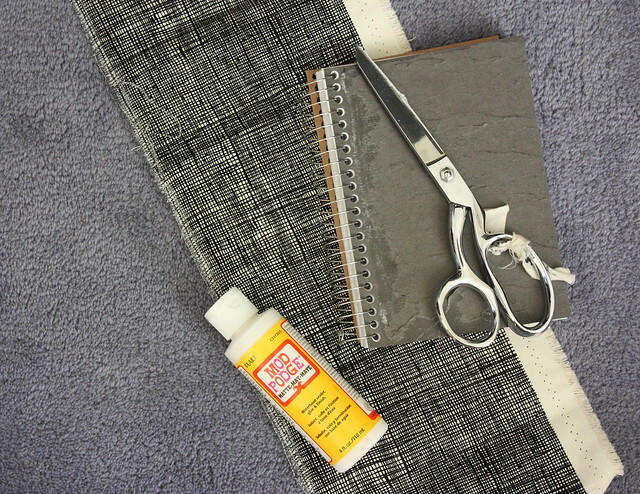 Spread it out so that it reaches the edges then stick your fabric scrap to your cover. Be sure to smooth it from the center towards the edges for a great finish. That’s all kids. Use your new notebook to sketch, dream, make grocery lists, and cross items off your to-do lists. Use it all up then throw it away! Thanks Shaina! I use it every day and I still like it just as much as when I first made it :)).